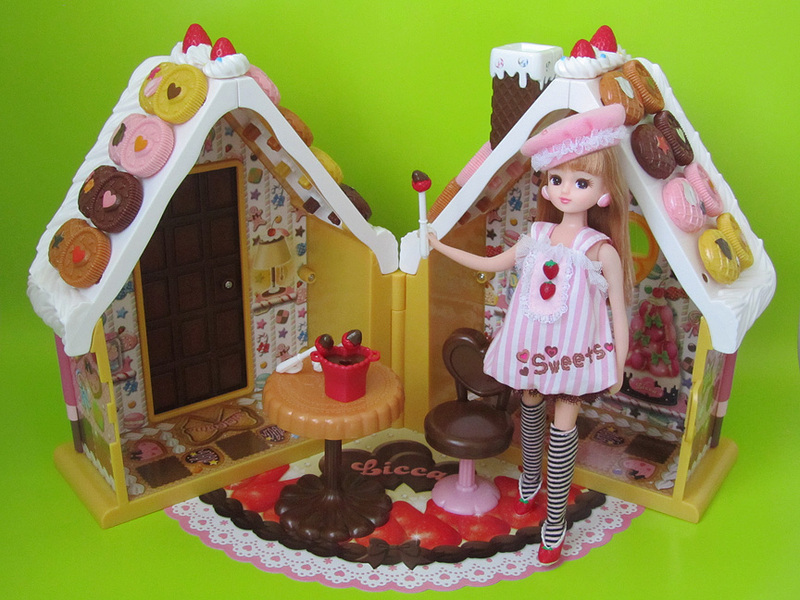 Here it is: Licca's dollhouse. 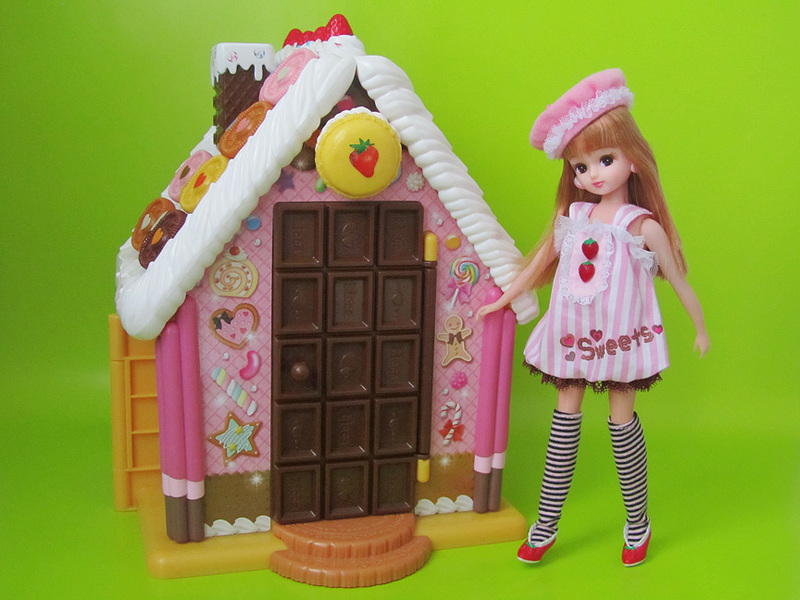 I personally think it looks more like a gingerbread house but "sweets decora" it is! Let's check out what's inside. To tell you the truth, not much is in there. Just a table and a chair. The house itself is the fun part. 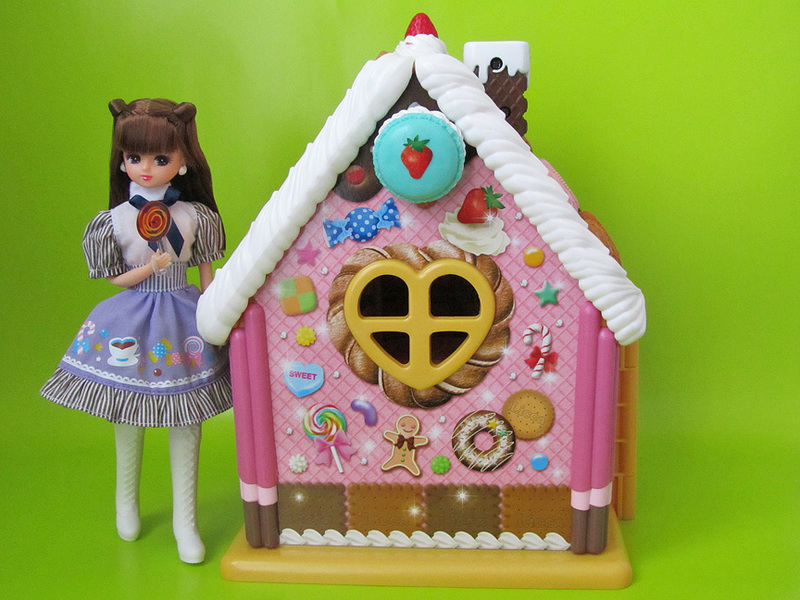 The macaroon on top of the front door and the cookies on the roof are all interchangeable. I even got to put stickers on them. The inside. That's a cardboard flooring you see. It's a simple concept yet effective. 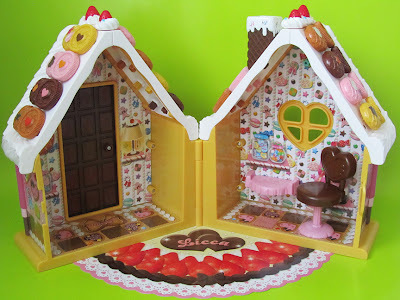 Overall, this is a very visually stimulating house with all the fun colors and cute tasty designs. It is an excellent toy for kids....And I'm enjoying it immensely! The chocolate fondue set also came with this house. It wouldn't be a sweet house without anything sweet to serve inside. 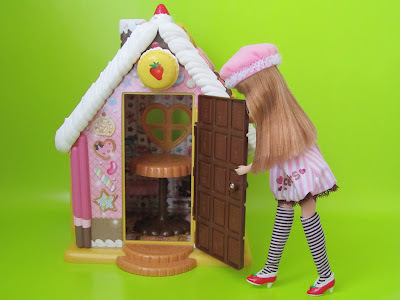 What other reason would there be for another Licca doll to be skulking around at the back if not to find out what sweet things could be seen through that heart-shaped window! What websites do you use to buy them and do you know where to buy any cheap ones? Also, where do you get the doll furniture and doll rooms? Because I really want to make like a cute girls doll room for my licca chan and takara jenny doll but I don't know what to do! Hi...I do have some doll furniture & clothes selling @ affordable price.